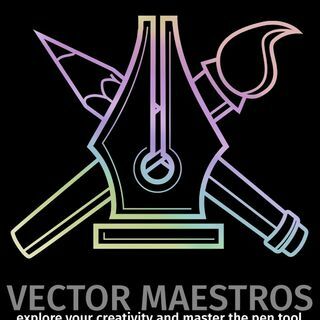 Some Vector Maestros take the skills further with digital drawing apps and programs like Adobe Draw, Affinity Designer and even Microsoft’s Expression Design. Our favorite: Adobe Illustrator. The Vector Maestro Podcasts are companions to the VectorMaestros.com website where you will find links to vector illustration resources and ... Maggiori informazioni tutorials spread all over the internets including our dedicated YouTube Channel, Flipboard Magazine, Blog and monthly email tips and tricks. Our purpose is to allow anyone to Explore their Creativity and Master the Pen Tool.